This is my entry for Randy Seaver’s weekly Saturday Night Genealogy Fun challenge. This week we’re to write about our best find of 2014, then write about an ancestor we want to work on in 2015. 2014 was a year of many discoveries. The records in the Azores went online, Portuguese Hawaiian newspapers went online, I had my DNA tested, etc. It’s difficult to narrow this down to one best. 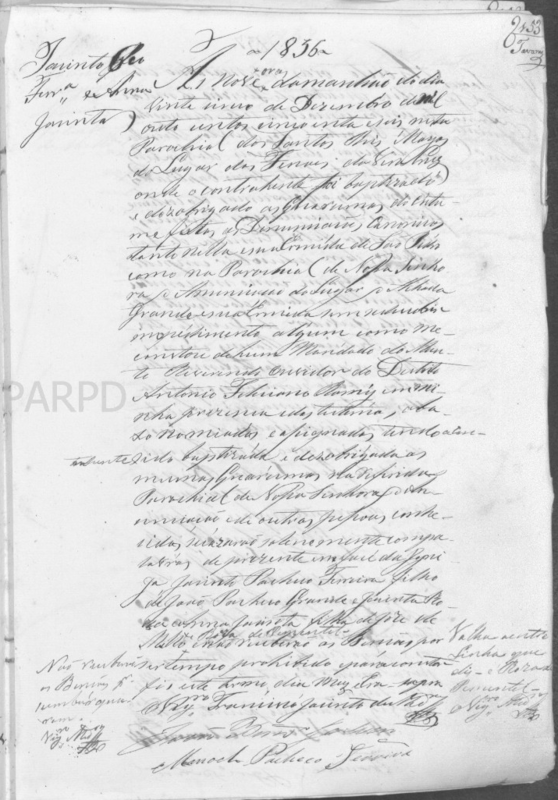 However, I think the one that stands out the most is finding the marriage record for Jacinto Pacheco and Anna Jacinta de Mello. Jacinto was from the village of Fenais da Vera Cruz and Anna from Achada. When I left off researching around 1999, I had spent many months searching for their marriage record with no luck. I had all their children’s baptismal records but one. This spring Achada came online. I worked diligently through the records. I found many relatives and got my lines back into the 1600s. Yet, that marriage record eluded me. Sometime in summer, Fenais da Vera Cruz came online. I decided to start at the beginning of the marriage set rather than the end. Bingo! A couple pages in I found my couple. Contrary to norms they were married in his village. But, the real reason I missed this record was that when I originally searched FVC and Achada in the 1990s I was searching the wrong years. I assumed that since second son Manoel was born in 1863, that Antonio was born around 1861. I searched back to 1859. Then, I went searching for Antonio’s bapstimal thinking I’d have a better handle on the marriage date if I had that. I never found it. Anna and Jacinto were married in 1856. I had stopped my search to soon. I still haven’t found Antonio’s baptismal which leaves me with a problem. Between the marriage and Manoel’s birth is almost 7 years. Where were they during that time? It’s frustrating not to know. At least now, I know Antonio could have been born as early as 1857. This is their marriage record. 1. Find the immigration information on John Joseph Jones and Mary Jane Haywards for their migration from Australia to San Francisco. I’m not sure if those records are available but I’d like to work them backwards so I can maybe establish their roots in Australia and then some day get them back to Wales. 2. Find early information on my Kelly Dolan family. I would like to either find Margaret (Kelly) Jones’ birth/baptismal in Manchester, Hillsborough Co., NH 1849 and/or Patrick Dolan’s naturalization records in 1854, Boston, MA. I think that either could provided the information I need to make the just to County Roscommon, Ireland. I’m hoping anyway! Thanks for the challenge, Randy! Happy New Year to All!